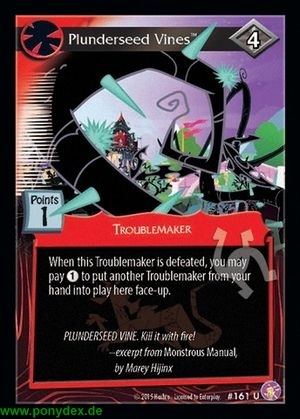 When this Troublemaker is defeated, you may pay 1 action token to put another Troublemaker from your hand into play here face-up. PLUNDERSEED VINE. Kill it with fire!